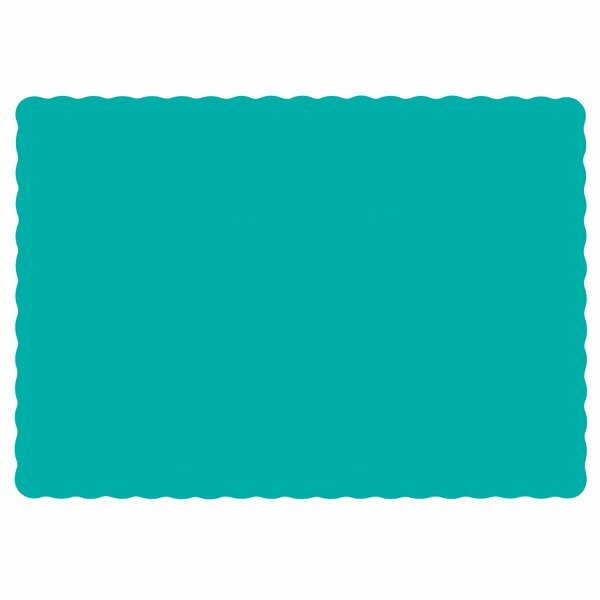 Add a touch of color to your tables with this Hoffmaster 310527 10" x 14" teal colored paper placemat with scalloped edge! 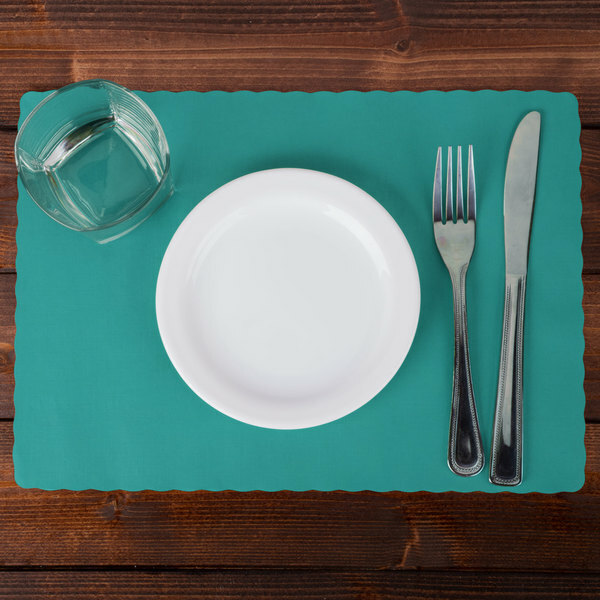 Not only will the bold, teal color accent your decor, the placemat will also create a sanitary, individual surface for your guests to enjoy a meal on. Plus, it can easily be laid on tables or a bar at your restaurant or catered event. Very vibrant colored place mats. We use them to line our boxes for baked goods and other goodies. They give a great pop of color that customers love. Great price- Great product- and speedy delivery; what more could I ask for? I have found other great products on this website also. So thankful I found this website.